Obviously the first thing I need to write is five weeks!!! This is the longest I have gone without writing in my journal, and the good thing is that I haven’t felt the need. Rich read what I had written in my last entry(7th October 2007 Journal Entry Sunday 7th October. We lie to ourselves you see…..) and it was hard. He read it when I was there and it all got very emotional. But what really surprised me was that he read it again the following Thursday on his own. He got a lot from it and said it was really good. Since then, when I now look back, Rich has tried even harder – Jesus couldn’t try harder than him!! We had a beautiful time in France; Rich is fantastic on his days off, lights the fires, lights the candles, does the shopping: all the mundane things that I used to be taken for granted for. He wants so much to please me. Over the last month he did become very tearful for what he had done to me; I think he now has a sense of disbelief. I have been asked to work full time, as a Band 6 (a big jump from a band 4) in the office. Everything is changing at work and I am so excited about the challenge – something that I haven’t felt for ten years. It really made me realise what a drudge I had become. I said yes to the full time post (but only short term until March), without consulting Rich. I think that because I am still acutely aware that I have to look after myself, and can never put myself in that vulnerable position again, I don’t consult him. And perhaps (as always as I am writing this, things come to mind) I subconsciously keep that small distance between us. Rich, as always, and as I knew he would, thought that this was all part of my escape plan (the tunnel he thinks I am building!) But I don’t have an escape plan; but I will always have a plan B. And again that is a change in me and Rich. Perhaps I should write a list! But my life is better. We have more money now than we have ever had (because I am back, and back to my full earnings capacity!) I must fulfil my career now. My husband treasures me. I use this word deliberately because it means ‘something so valuable, to be looked after and handled carefully. Something that you would not want to lose, that you value so much. ‘I know this is how Rich feels about me but….. This makes me cry. I have decided to write in my journal because (although I have had the best month I have ever had with my hormones) I feel sad. Because I still have a broken heart, and I have come to realise that I always will have. I thought that Rich could fix it, but he can’t. I never thought that Rich would let me down, and he has. Everyone in my life who I have loved has let me down and hurt me; and I realise that I am on my own. As always I am crying my eyes out now because I have written it down, been honest; but I am hoping that by acknowledging it, confronting it, as I know you always have to do to move on, I will move on. I look at all the things that are better in my life, I am thinner, have more money, have ‘me’ back. These are all things that I have done, not anybody else. But Rich is also better, in fairness: he is confronting his fears, more loving, adores me, and, yes, that is better. But undermining that is that he broke my heart, did what he did; and that will never go away. If I stay with Rich I will have to live with that forever. That perhaps when Rich gets upset and says “I can’t believe what I did to you” instead of comforting him I say “neither can I! !” That Rich needs to confront what he has done, and part of that is opening his eyes and seeing, really seeing the damage he has done to me. Because only by really understanding that, and recognising that, can we move on to wherever we are going. My strength, that everyone keeps telling me about, is also the thing that keeps making me wonder if I can live the rest of my life with this in the back of my head; or whether I should walk away. But to what? The thing that keeps me here is Rich’s love, his adoration. I could meet someone else, but I don’t think that they will be able to give me that love and adoration like Rich does. They won’t be Rich. I did say to Rich that I don’t believe half the things he has told me. I do still think he is lying, but I am bored with going down that road now, I have made my decision on that. I have just read this again and sobbed. Because although we have had the best month we have ever had, this does look like a goodbye speech. I am afraid that I am not going to stay. But I have said that I will give it a year from September and I will. I have also come to realise over the past month how selfish people have become; I have been guilty of it myself. How we are all entitled to pursue what we want, because it is ‘our lives’. But we get so caught up on this fixation that we don’t think about the people that we trample on, or hurt. I have a responsibility to Tom, to Snowy the dog, to the kittens, and even to Darren who now lives with us; and yes, despite what he has done, and because he has put himself through this hell, I have a responsibility to Rich. If I walked away I would be one of those selfish, ‘it’s all about my life, people.’ In fact I realise that Rich has already realised that and stopped being one of those people. He has stepped up to the line, and I need to join him there. There are many things that I love about this entry: it’s positivity but more than anything because I had finally started to realise that it was not all about me. To not have written in my journal for over five weeks was immense (every small thing counts remember): it meant that the war was no longer dominating my life for every minute, hour and day. I had found myself again in the way I looked and also in my career; but I didn’t know it at the time that I still had a long way to go to find myself as a person. I had started to see the small and good things that Rich did, and appreciate them. But the important thing was that I had started to understand just how much Rich both loved me and adored me. His actions had spurred me on to look up the definition of treasured: because I knew how important it was to give Rich the acknowledgement he deserved: remember it is so important to see the small things in the present moment that you are in, and not let them be continuously tainted by something that happened in the past. I cried because I thought that I would always have what had happened in the back of my head: knowing that Rich had broken my heart; as I have said would ‘have to live with that forever’. I can honestly say to you that I no longer have a broken heart: Yes it has scars but I do not live with what happened to us every day; I live with what we have now. There is no wedge between us, because what we have is based on things and actions after ‘The War’ and therefore the ‘wedge’ Mois felt existed has dissipated. Despite how far we have come it is my husband who still lives with it every day. He still cries at records, cries at what he did all those years ago, cries when I tell him I love him. I wish he didn’t, but he does: he broke his own heart. It is the fact that I had recognised that Rich had stepped up to the plate and it was I that needed to join him there that stands out for me. Just before this entry I had been to see a friend who loved Rich and I and what we represented to her: true love, the perfect love, people who adored each other. We had given her kudos that the knight in the shining armour did exist and because of that we gave her hope that she would find the same as we had. And then the knight left me; and in so doing he destroyed her hope of finding that all-encompassing perfect love. So when I went to see her she sat and sobbed for the whole two hours I was there: sobbed at the sadness of it all, sobbed because it had destroyed her dream. When I came away I realised how our selfish actions can impact on so many: like ripples in a pond. I told Rich what had happened when I got home: of how she had cried and as a result Rich then cried: he believed that he had ruined not only my life with his actions but so many others as well. I cried then; I cried for him because I did not want him to feel such a responsibility: but he did; and looking back now I understand that this was one of the many things that Rich did that enabled me to stay: because I had such respect for his ability to recognise, acknowledge and regret his actions. As a result I acknowledged that if I was going to make a commitment to work then I too had to step up to the plate and I did. But it was Rich who put out his hand and pulled me up there with him; and here I am many year later only realising that now. I’m writing from less than 2 months in, so i hope I don’t sound too bitter. Treasure? Ho do you think you believed this then? I know c loves me and regrets doing something selfish that blew up in his face. I know he misses his easy life and doesn’t want to have to learn to take care of those things. I even know he would probably be faithful from now on as he’s rattled his own life and self image badly. But I can imagine he treasures me, because he put his own desires about any shred of respect or love for me. I just don’t think I can ever respect him again….I’m not sure he will ever respect himself again. The last path is one where the AS can be remorseful for their actions and try and keep the relationship, but it may take a little to get there or may not happen at all. This is where the BS discovered the affair and confronted the AS. This is a life shaking event for all parties involved. The BS loses her identity, self-esteem/worth, is overwhelmed by disgust, shame and guilt of it all. She will need to grieve for the loss of her relationship and the life she had before the affair. The AS will also be shaken to their core. They will have been fully in the fantasy land they created in their mind. The discovery will rip them out of this fantasy world and like the BS they will lose their identity, self-esteem/worth, become overwhelmed by disgust, shame and guilt over what they have done. Getting the details you want from this type of AS can be difficult as well, however, it may not be because the AS is really trying to hide things. Once they understand that the BS needs the information to heal, they will usually provide the information that is asked. However, there is a lot of self-protection that goes on here as well. The AS may unintentionally block certain things/details/events and may not remember them until triggered or directly asked about them. They do this because of the amount of shame and guilt they are holding in. They will probably hate themselves and may rather abandon the relationship rather than trying to face all the things they have done. Until they have fully recommitted to the relationship they will trickle information out, some intentionally some not intentionally. Secondly you are two months in, that would have been the beginning of July for me, and you can see from my journal entries I didn’t feel that way then. This entry is 4 months after that, Rich had shown me how sorry he was everyday, our counselling sessions were over, and I was getting stronger every day, week and month. By now Rich had to run to keep up with me, and he did, he never gave up. From the ring incident, to others. As I said in this post Rich had stopped taking me for granted, looked terrified most of the time, lit candles, made dinner, anything he could. By now I could see the small things and I had given myself a timeframe. I cannot stress how early this is for you. You have to find yourself, but don’t make decisions yet, see how it unfolds. Respect is earned, you will see this is still early days for me too, and the next entry I share I will change my mind again. Take a breath, find yourself, go and sit in a forest, in a park, have some space. I love this post because I understand all of it. 1. It sets unrealistic expectations. My pride-filled expectation that I should hit it out if the park after every failure so everybody else would forget creates huge pressures and makes it difficult to enjoy the little joys. The idea that one big thing wipes out a hundred small ones doesn’t sit well with me. I understand now that I could be the best fireman in the world but I’m not going to get any credit for putting out the fire if I’m the one that started it…my infidelity, et al, set our lives ablaze. I still need to help put the fire out but I shouldn’t expect a commendation. 2. The best hitter last year in MLB hit .350. Essentially he got onto base 4 times for every 10 at bats. However over his five season he has only hit over .300 twice. For that matter, the best home run hitter in 2018 only hit .250, even with his 48 homeruns. 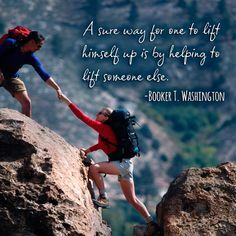 I only say this because we have the expectations that when we fail people we should make it up. We should set into the box and make it all up in one swing…and if they don’t do it the way we expect we set them, and ourselves, up for disappointment. Even the best players will not hit it out of the park everytime and his success as a player will be measured over a lifetime. All you can do is step in the box and take the swing over and over knowing you will fail more than succeed. When I read your and Rich’s story I realize over and over that the reason you are still together is because of the little things, not the big ones. I went to a Gottman Institute workshop this past week and I learned some interesting facts about relationships. 1. Couple that stay together have a 5:1 ratio of positives interactions to negative. 2. For a relationship to recover from serious trauma requires a ration of 20:1. These rations are backed up by research (see 7 principles for married couples). In either case it is the small and ugly singles, dings, and bunts that keep couples together. Occasionally there is a double or triple. Sometimes you get on base because of a gift consisting of a player error or walk. Rarely are their home runs. Take joy in the little victories. Don’t try to make things up all at once. Suit up. Show up. Make the most of the pitches you are given. Don’t focus on the home run, but instead focus on the efforts. I loved that Sean. The quote applied to me, because I know that it was all the small things Rich did, his gentle nature, that matched to my strength. 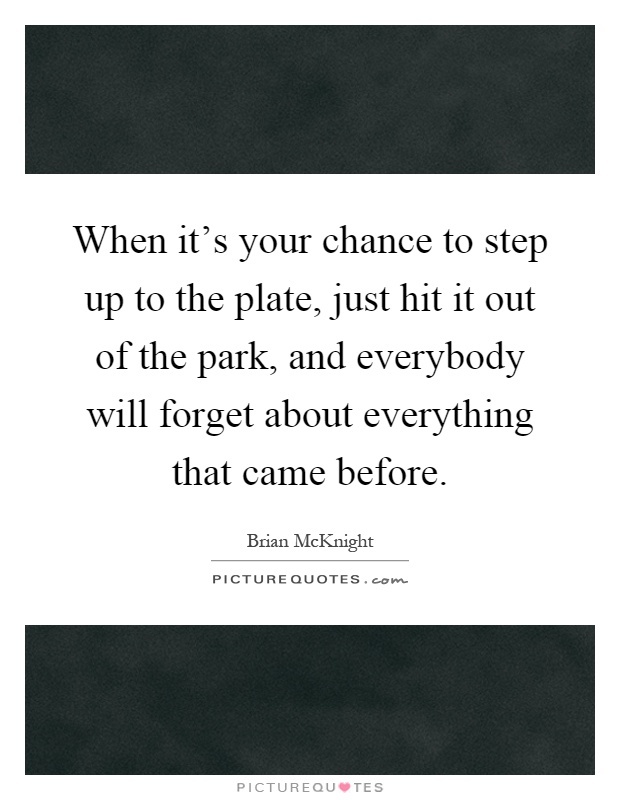 I knew if I kept reminding myself to step out of the past, into the here and now, step up to to the plate that Rich had stepped up to, faced my fears as he had to do, if I hit it out of the park, then the past would be ‘forgotten’. Or in our case never forgotten but put in the experience box, and left there! You are so right, my journal shows over and over again, as will all of our story, how we held on to EVERY small thing and they all put themselves together and made us now. As my friend said ‘small steps’. I love your support, isn’t that a good thing from all this crap? New friends. I have just gone over 20,000 views by the way! With your comments and that lets get that book out there. You have a story worth telling Moisy.